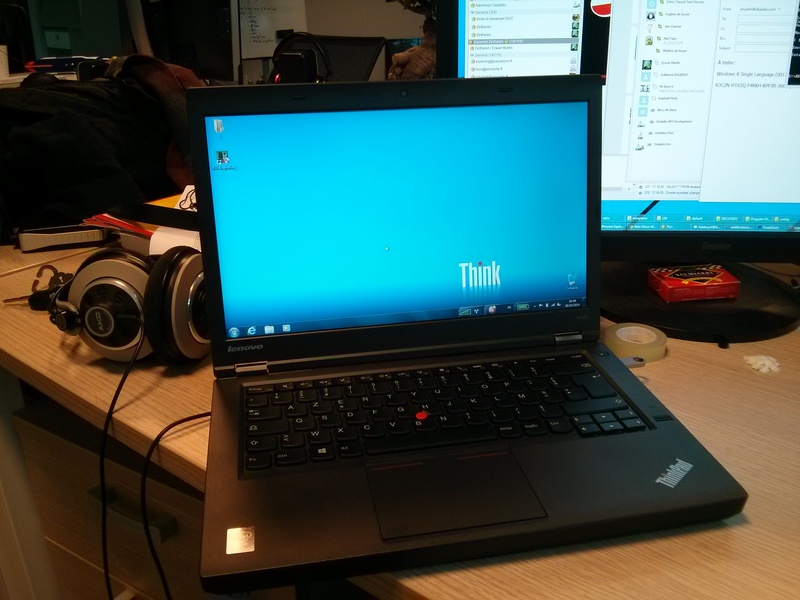 How to extract the windows license key from a Lenovo T440p recovery CDs. You own a Lenovo T440p with Windows 7 preinstalled, but you have Windows 8 recovery CDs. Unfortunately, your laptop doesn't include a CD drive. You'd like to extract the Windows License key from the CD and install your computer yourself with a custom image (I mean, who would use a preinstalled Windows image with Norton Security for anything serious). My guess is that we'll find what we need in the largest file contained in the CDs, which should be a Windows installation image. This file is: M8S4AUS.swm. This looks like a split WIM file. Let's merge it and open it. E:\RECOVERY>imagex /export /ref M8S4AUS*.swm M8S4AUS.swm 1 exported.wim "exported"
Bingo! This definitely looks like a Windows image. Download and start ProduKey. Open the Select Source window and Load the product keys from external Windows directory. 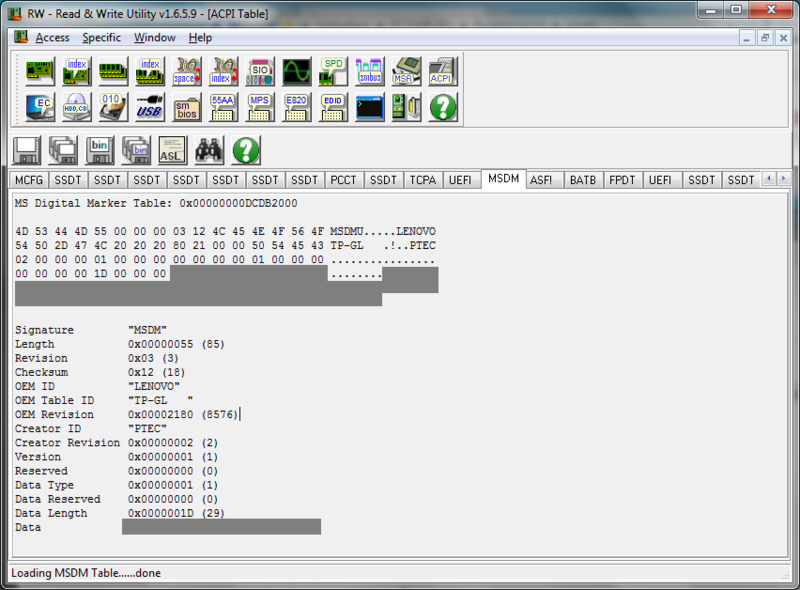 Voilà, the associated Microsoft keys are extracted and displayed. Unfortunately, we did chapter 1 for nothing, since the key R3C2N-HT63Q-F4RKH-KPP3R-3667Q is a generic key called: Windows® 8 Default Product Keys to be used with OEM Activation 3.0. This means that the real key is embedded inside the computer's BIOS. Download RWEverything, click on ACPI, and go to tab MSDM. Your key should be here.